This unusual Japanese fern has a long uncut terminal pinnae some 20-30cm in length and two or three pairs of uncut side pinnae. It is quite glaucous-green in colour and prefers a humus rich soil and protection from strong winds. 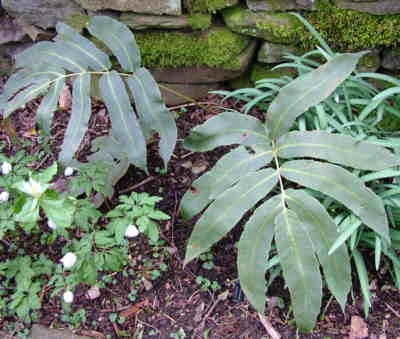 Texturally, a very valuable fern. It looks great when planted amongst boulders or against a wall. Evergreen. Used beautifully at Abbotsbury Gardens in Dorset.